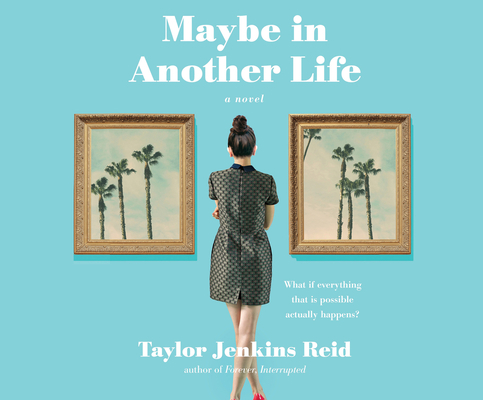 Yes, it's another Taylor Jenkins Reid recommendation! Did you love Sliding Doors? MAYBE IN ANOTHER LIFE asks the question what would happen if you had parallel choices and could see the consequences of each choice? Interested? If you said yes, READ THIS BOOK! At the age of twenty-nine, Hannah Martin has lived in six different cities and held countless meaningless jobs. On the heels of leaving yet another city, Hannah moves back to Los Angeles and takes up residence in her best friend Gabby's guestroom. Hannah goes out to a bar one night with Gabby and meets up with her high school boyfriend, Ethan. Just after midnight, Gabby asks Hannah if she's ready to go. A moment later, Ethan offers to give her a ride later if she wants to stay. Hannah hesitates. What happens if she leaves with Gabby? What happens if she leaves with Ethan? In concurrent storylines, Hannah lives out the effects of each decision. Quickly, these parallel universes develop into radically different stories with large-scale consequences for Hannah, as well as the people around her.